Valentine’s Day seems like a good day to look back at the Sweet Petes of 2016. While everyone will have his favorites, I cannot think of any year since I bought my first Pete in 1978 which has rung such glorious changes on the Peterson house style. I use the bell-ringing metaphor because 2016 seemed to be about making Peterson designs more relevant to younger pipemen and women while remaining on the firm foundation of the company’s 150+ year style history. Pride of place goes to the release of the incredible Amber Spigots. My co-author and I saw several tubs of amber mouthpieces back in 2013 on our research trip to the factory, high up in a storage area at the back of the factory, but it was either Mario Lubinski, Shane Ireland of Smokingpipes.com, or both, working with Conor Palmer and Jason Hinch at the factory, that brought them to life. 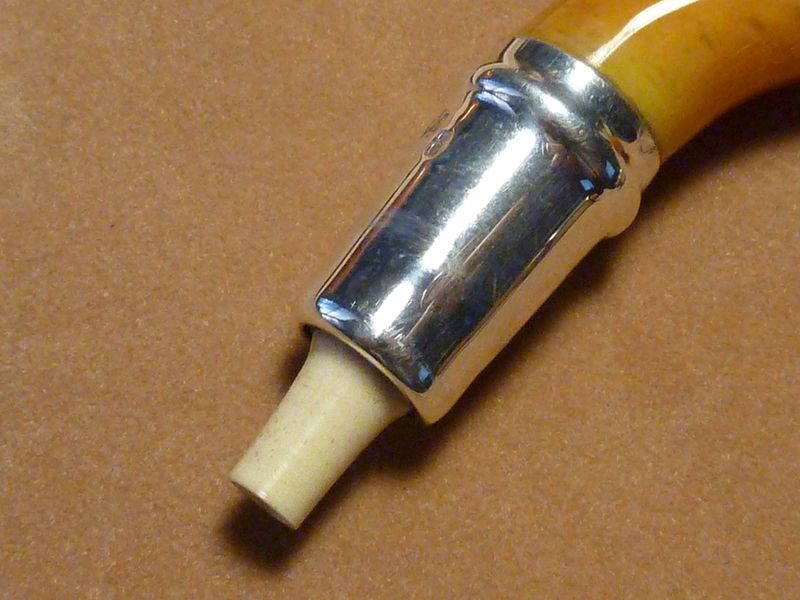 It was a stroke of genius to strengthen the amber with the spigot stem, and as you can see in the photo below, the P-Lip mouthpiece versions include the original bone extension tenon. Bowls that will accommodate a reservoir, like the X220 (the chubby version of the 11S / 312), seem to have been bored for one, making them (if I am correct) Peterson’s first-ever genuine Spigot Systems. Take a careful look at the ferrule on the X220 in the top photo—this is the kind of detail I mean when I said the new pipes build on the underlying identity of the Peterson house style. The spigot mount dates from 1906; the amber itself from 1939. 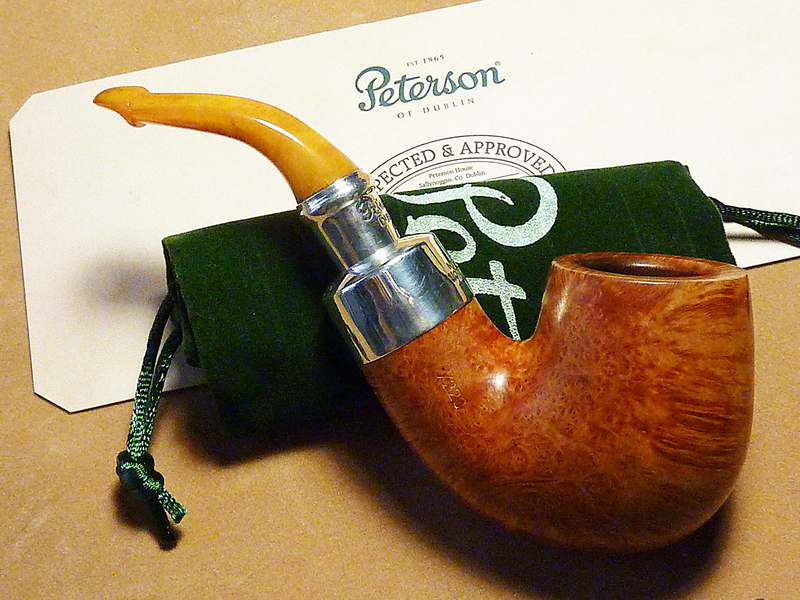 But this is a brand-new mount for Peterson, the first since 1896. I don’t know whether Jason Hinch, silversmith at Peterson, came up with this consciously or unconsciously or whether someone else hit upon it by accident or design. However it came about, it’s a masculine, dynamic blending of the original domed army-mount ferrule and the F or facing-mount (flat-top) ferrule. The short mouthpiece, reminiscent of the early BC or short-tapered stems, is even shorter, and would look awesome on regular production Standard and Premier Systems. 2016’s new direction really began with Limited Edition, which was designed back in 2015, even though we didn’t see it until a few months into the new year. Emblematic of 2016’s new lines, it speaks dynamically of both continuity and change. The LE 2016 grows organically from the Peterson house style while being a strikingly contemporary, functional, and distinctively Irish design. 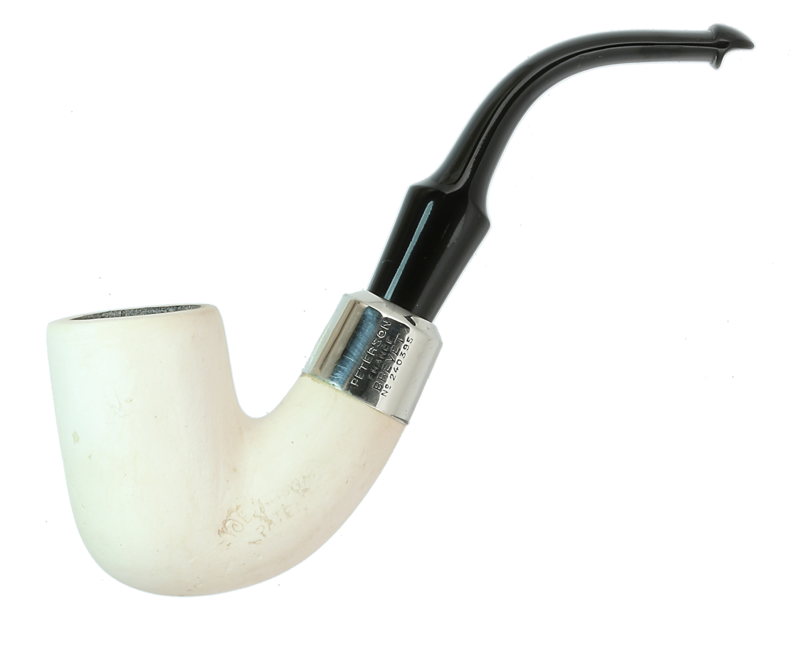 The company has a long history with straight-sided bowls, one that goes all the way back to 1896, so that you could call them a signature design, and when you couple this with the massive, thick shank Peterson has always been famous for and the near-chimney proportion, you’ve got a great shape. I said when it came out that it struck me as a kind of slimline, fat-pencil version of Tom Eltang’s Tubos shape, extremely dynamic. 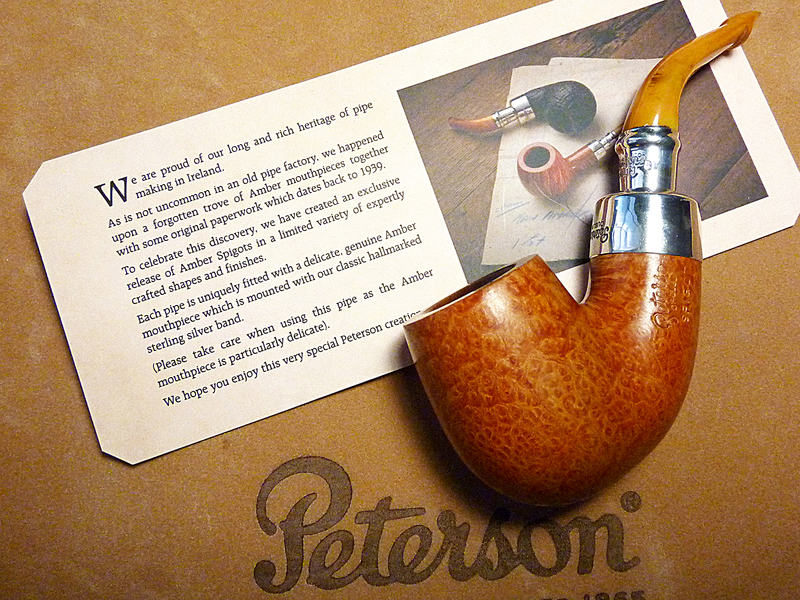 It’s also the first non-XL-sized LE Peterson has made, another innovation, and one I welcome in the current culture of 22 mm wide, squat-pot chambers. I confess to being disappointed with the lack of a presentation box and surprised by the reduction of numbered pipes – this was the first year an LE has ever been released in an edition of 500 pieces – but Conor Palmer’s reasoning makes sense. He told me he wanted it to be a genuinely limited edition pipe, and reducing the number would make that statement. 2016 was the year for Peterson’s acrylic-stemmed army mounts: from the Summer Classic in its outrageous blue and orange and the “Elf Army” Christmas pipe to the sterling-mount Orange Army and sterling Roundstone Spigot. But the Derry Rustic was the most visible entry in the 2016 issues due to its numbers and price-point, and certainly captured my interest with its B-shape catalog and even rarer entries like the X61 and XL339 (pictured above). With a company as old as Peterson, there’s always something new to be learned, a shape or line that many contemporary pipemen have never seen. Here’s a few favorites among the “Seldom Seens” I discovered in my own smoking pilgrimage and research over the past year. Peterson has a long, quiet history with the clay pipe, which we discuss in the book. The first generation of Peterson System clays were made in France (“brevet” = “patent”) and were high-end products. By 1906, they were made in two shapes—the 8 (shown here, same size as the 313 System) and the 12. I used to smoke a traditional clay made by legendary craftsman Eric G. Ayto back when I published Pipeman’s Quarterly in my grad-school days. I liked the taste, but found them often wet and uncomfortable to smoke (bowls too hot and mouthpieces too difficult to clinch). Having tried this System Clay, I can only recommend that if you chance upon one, grab it. 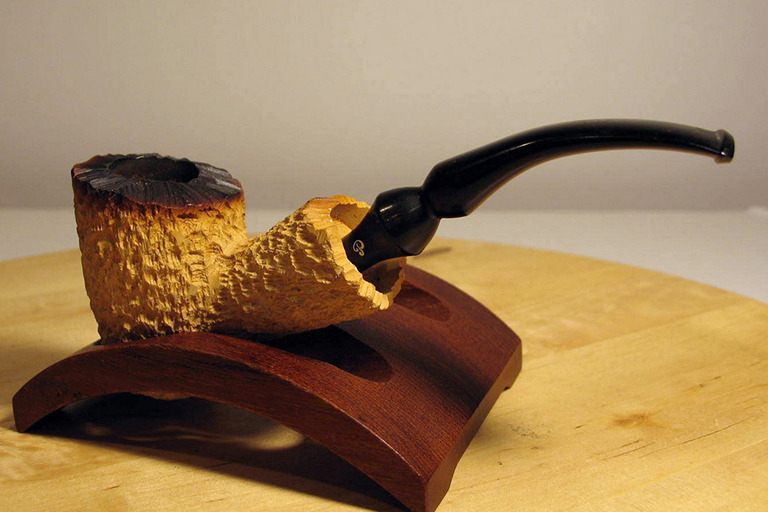 It’s a System, the bowl stays cool, being thicker than the traditional heeled-dublin clay, it smokes very dry, and it’s comfortable for clinching with its fabulous P-Lip. Best of all, of course, it gives you the tobacco-only taste experience that only a clay can deliver. 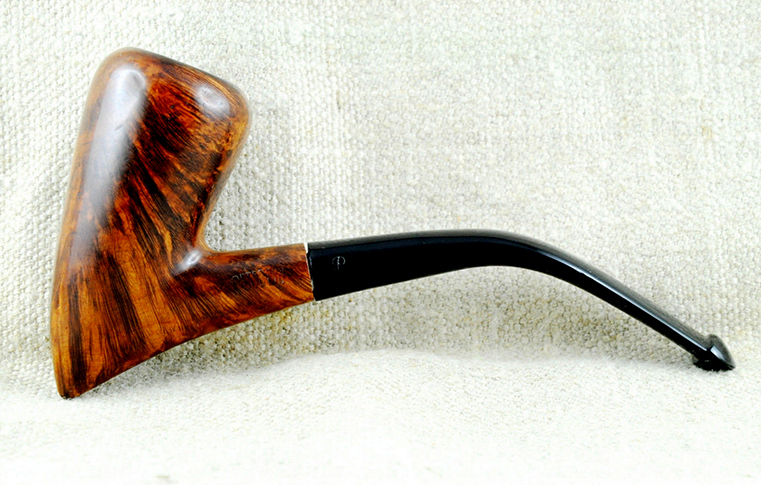 Tom Palmer told me recently that Peterson has no interest at present in re-introducing a clay, as they have unpleasant connotations of sour old ladies and wakes in Ireland — more’s the pity, I say, as I think the relative price of such pipes combined with everyone’s interest in great tobaccos would make them very popular. 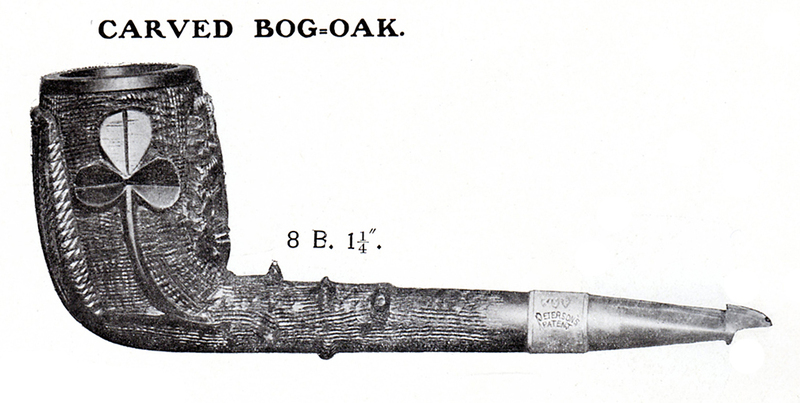 This small Irish bog-oak (morta) pipe was offered in Peterson’s 1906 catalog. The specimen here had a bowl split at the back and was missing its band. It got away from me before I could acquire it for the book, so I offer it here. 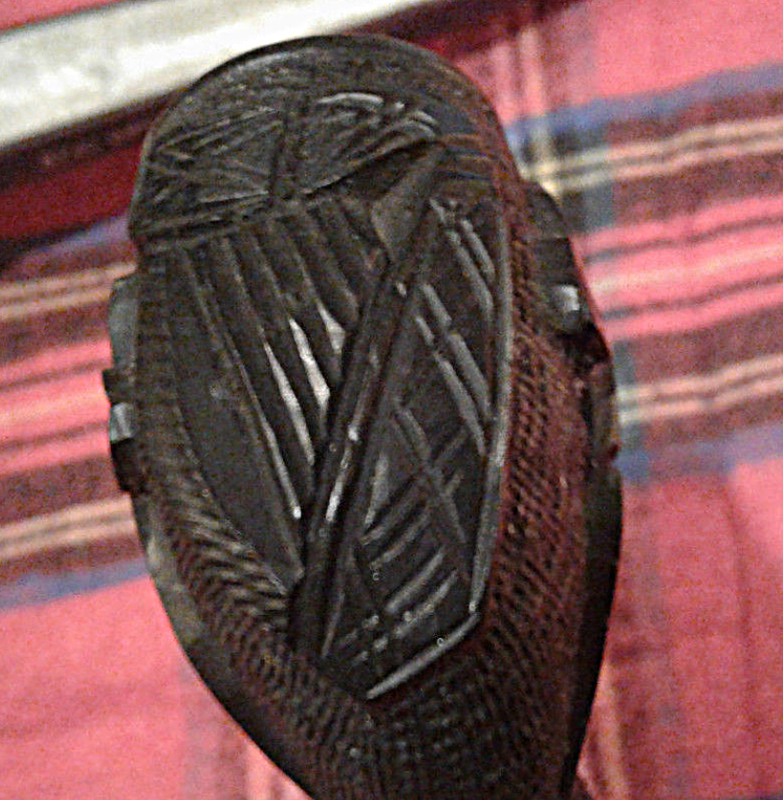 There is still a large craft-culture in bog oak in Ireland, and wouldn’t it be great if Peterson were to offer one again after 110-year hiatus? I had a Paolo Becker morta in my rotation for a time, and morta offers a taste experience quite unlike briar, but absolutely wonderful. Thanks to Phil Blumenthal, I am a confirmed Peterson straight-pipe smoker, counting my 107, 120s, and 106 in my regular rotation. I wondered if the 109 would be a larger pipe than the 107. It turns out it is not, although I very much like the chubby look of it. This one is from the Emerald line, which ran from c. 1992 – 2010. Here’s an unusual shape. It’s longer than the 264, and its forward-canted bowl is what—a Belge? That’s the best I can come up with, anyway. This specimen was released for the Danish market in the Dublin line in the early 1990s. Outside Diameter: 1.27 in./32.26 mm. You just know Tolkien’s Dwarves made and smoked the pickaxe shape. This isn’t the first Peterson pickaxe I’ve encountered, but since it was never documented in the Peterson catalog, I wanted to share it with you. It always has shape 1 stamped on it. Length: 136 mm. / 5.35 in. Bowl Height: 67 mm. / 2.64 in. Outside Diameter: 30 mm. / 1.18 in. Chamber Diameter: 17 mm. / 0.67 in. Chamber Depth: 44 mm. / 1.73 in. Weight: 34 gr. / weight: 1.20 oz. 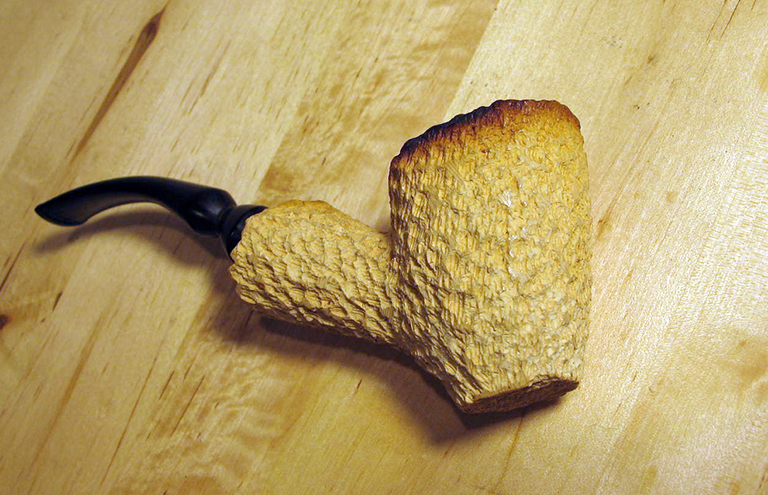 Having lived through the 1970s and 80s, I’ve no desire to return, but wanted to show you the best of a handful of “freestyle” calcinated block meerschaum shapes that appeared at the tail-end of the 1970s during the heydey of Peterson’s work with Manxman Pipes on the Isle of Man. Kind of groovy in a big-haired sort of way, right? Perfect for cruising along the drag in your AMC Pacer or Ford Pinto listening to FM underground radio or your favorite 8-track. The last Sweet Pete in 2016’s crop was officially the third, and certainly the rarest, of all System shapes. It’s the O (for “Oversize”) 3, which appeared in both the 1896 and 1906 catalogs, designated an “Extra Large” in the latter. This particular specimen is stamped EIRE and was made between 1938 and 1948. The ferrule is very unusual, and like the Brevet System Clay is not simply a dome, but has an inner sleeve as well. 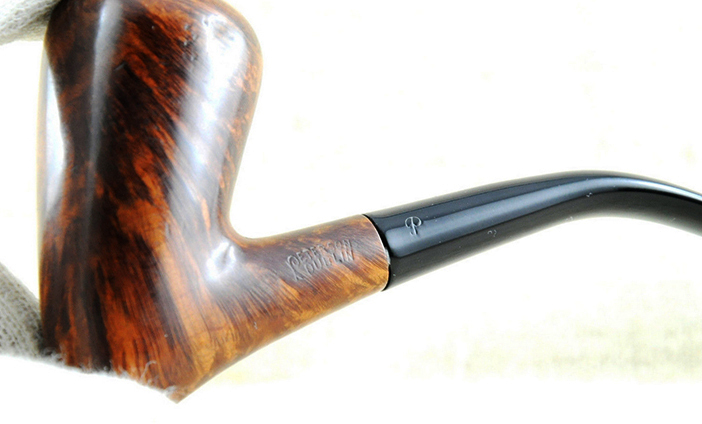 For lovers of the Dutch billiard shape, it doesn’t get much better than this. Length: 160 mm. / 6.25 in. 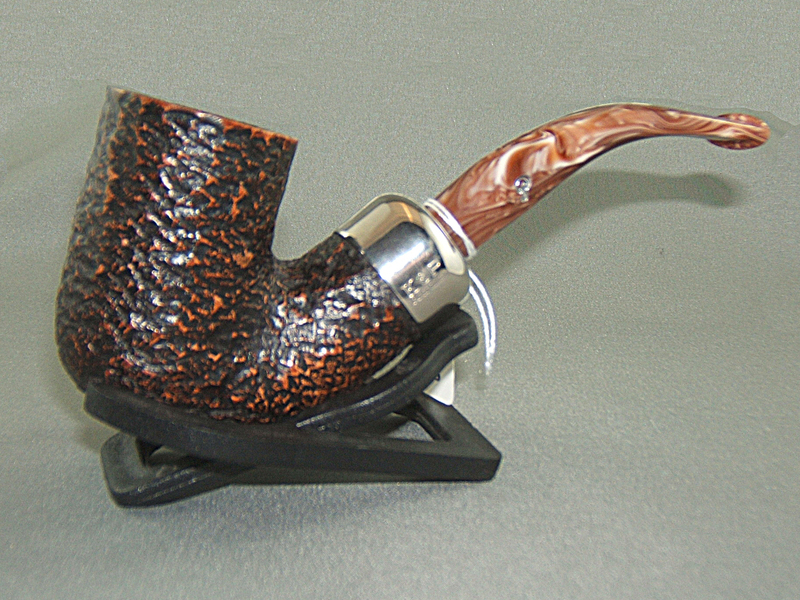 Bowl Height: 64.29 mm. / 2.53 in. Outside Diameter: 38.9 mm. / 1.53 in. Chamber Diameter: 20.90 mm. / 0.82 in. Chamber Depth: 51.02 mm. / 2.0 in. Weight: 69 gr. / 2.45 oz. Jim Lilley, who was instrumental in getting The Peterson Pipe: The Story of Kapp & Peterson up and running, passed away not long ago. 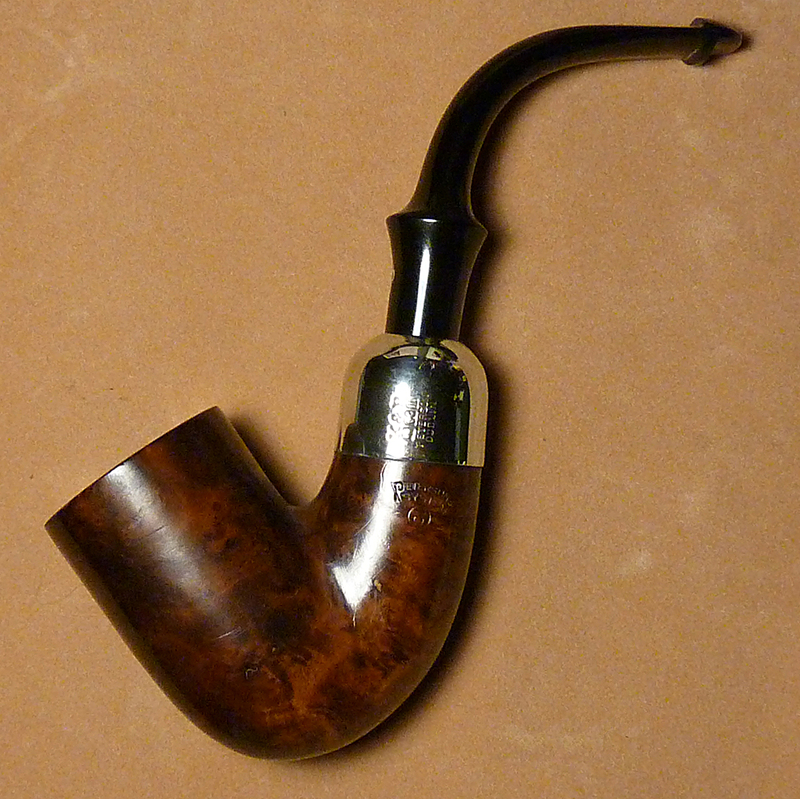 His blog and work for the International Peterson Pipe Club will long be remembered. May his soul be on God’s right hand. Wonderful article, especially the pipes! Thanks for the recap Mark. Great to see these all together. I’m surprised that I missed this blog entry and the noted passing of Jim Lilly. I’m also intrigued by that X220 Amber Spigot!